While Alternate Supercars is all about engine swapping to make cool hombuilt supercars, we can certainly appreciate a builder who takes it a step further with full body/chassis swap that now incorporates a hopped up 408ci, 500 HP small block V8 in the space where the original LQ1 DOHC 3.4L V6 once resided. 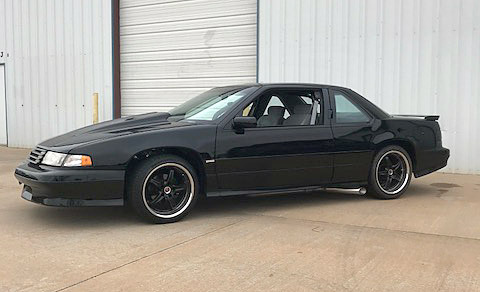 With a wheelbase only six tenths of an inch shorter than the Monte Carlo SS, the Lumina wheel openings are a near perfect match for its new underpinnings. That makes the choices of wheels and tires for this ride almost endless and dependent entirely on your taste. 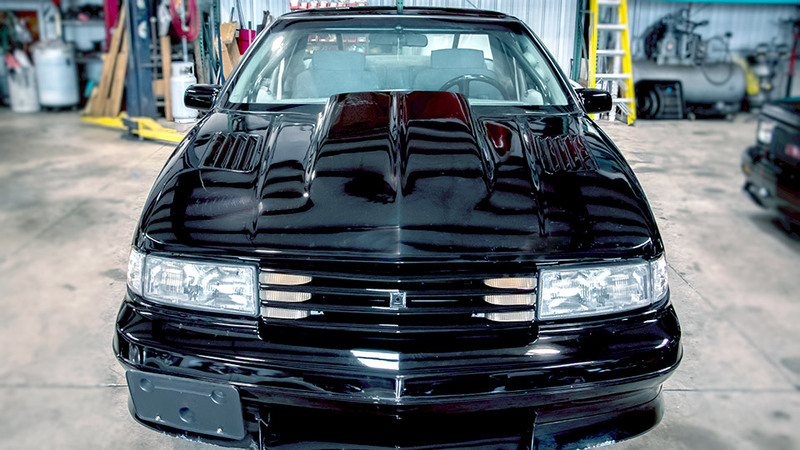 The hood line of the '93 Lumina Z/34 is lower than the parent '85 Monte Carlo so a blended hood bulge was required to fully cover the engine compartment in the Monte Carlo chassis. The Lumin8 looks pretty formidable with its larger lower air intake for the cooling system and functional heat vents in the hood. 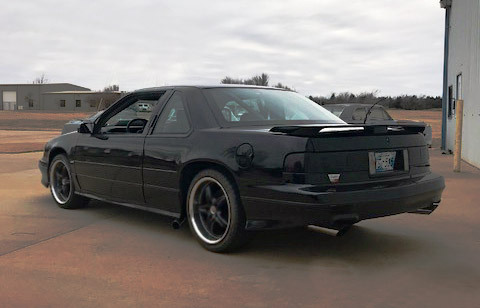 Pushing a lot more power than the original G-body chassis called for a radiator upgrade and dual electric fans to handle the heat load; a combination that has endured over 25,000 miles and two different engines without distress. The car was built by Bill Bonadio's Diocars out of Oklahoma City. The company specializes in custom chassis and body kits that include The tipo sports car and the S40 which is based on a GM S10 pickup or Blazer V8 conversion with the nose of a 1940 Ford. 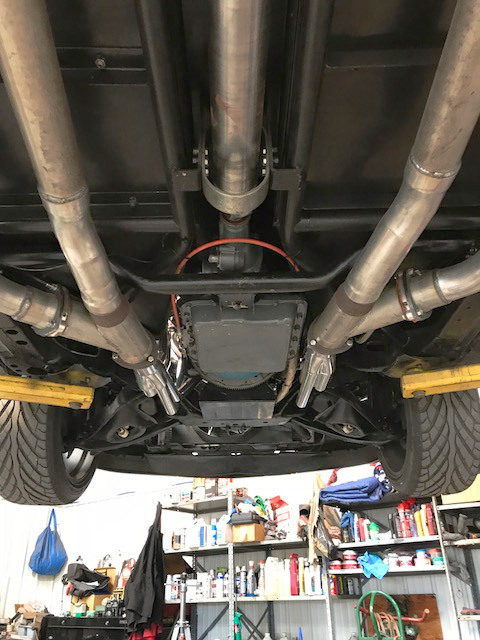 Undercarriage reveals details of the 9-inch Ford rearend with tubular trailing arms and coil-overs. 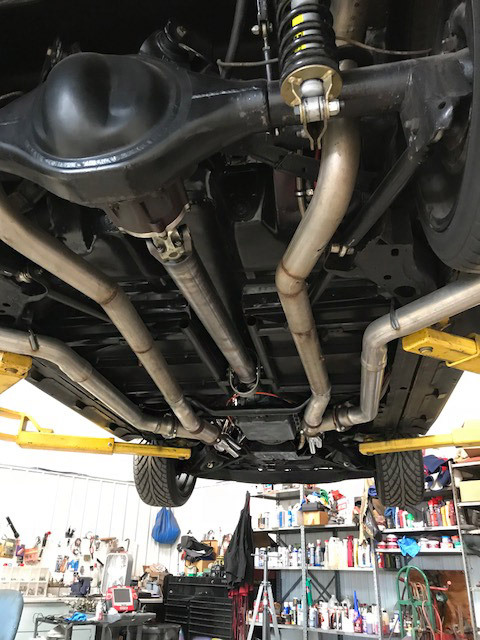 The headers are HPC coated and the exhaust splits into a muffled street version with side cutouts for track or show use. 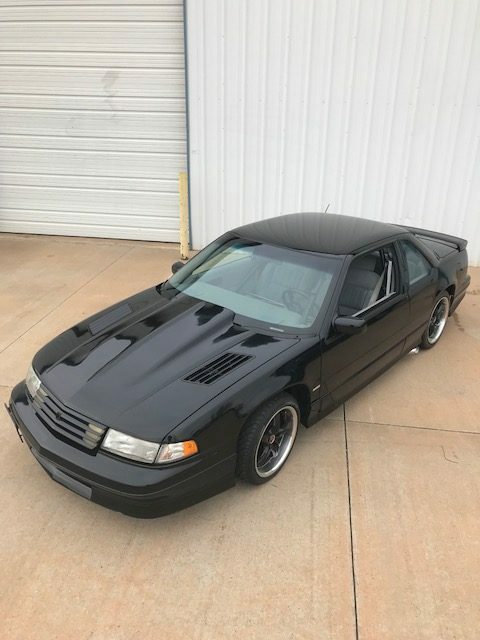 The chassis is a 1988 Monte Carlo SS with all new front suspension components, a narrowed 9-inch Ford rearend with 4:11 gears and a custom 4-link coil-over rear suspesniosn that has functioned perfectly for over 25,000 miles. The 500 HP small block V8 displaces 408 cubic inches and was built with a forged crank, H-beam rods, 9.75:1 compression Hypereutectic pistons, aluminum heads, custom flat tappet hydraulic cam, roller rockers, aluminum intake, Holley four barrel, HPC coated headers and a custom aluminum radiator with electric fans. The transmission is a 700R-4 rebuilt with all new parts and a shift kit. The overdive allows highway driving at about 2500 rpm without distress. The exhaut system features HPC coated headers and splits with electric cutouts under the front seats. One system exits at the rear through Borla mufflers, the other at the side of the car just ahead of the rear wheels via a console controlled switch. The fuel system incorporates a polished aluminum fuel cell with anti-sloshing foam and braided steel lines. At the rear , mini-tubs can accommpdate even larger tires or drag slicks if desired.The interior remains stock except for a 8.50 certified roll cage, a digital dash with speedometer calibrated by GPS so it remains accurate regardless of gearing or tire size. The exterior is stock except for a cowl hood. Chevy Luminas have an attractive design and were fairly peppy performers with the V6 engine, but this version transfomrs into a serious street/strip performer with the stated performance additions. This car is currently for sale. See video walkaround below.